The Resort dei Limoni’s 2 classic bedrooms are romantic and come with all modern amenities like Pay TV, satellite channels, free internet access, safe and relaxation/work area. 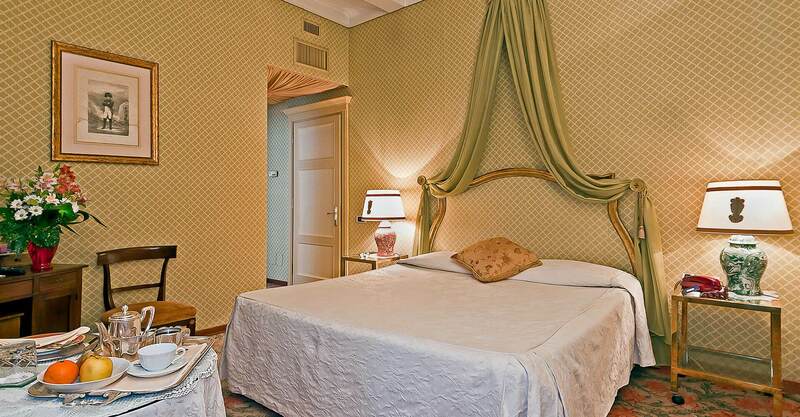 4 suites and 4 junior suites furnished with fine antiques and embellished with Pierre Frey upholstering and fabrics. Breakfast is served in the Gazebo Room with a rich buffet or brought directly to your room. Parking with valet service. Lounge-Bar, coffee and chocolate shop. Double rooms with queen or double bed, able to comfortably accommodate up to two guests. From 16-20 square meters. They have an en-suite bathroom with bathtub. Double or twin rooms with the possibility of adding a third bed or cot. They are the largest guest rooms with their 40-45 square meters and all have a living room. They can comfortably accommodate up to three guests. The large bathroom with bath and shower has bathrobes.